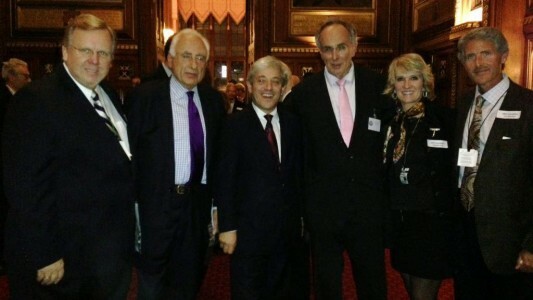 Pictured L to R: Philip Cameron (Stella’s Voice), Mr. Anthony Steen (Chairman of the Human Trafficking Foundation), Rt Hon John Bercow (Speaker of the House of Commons), Mr. Peter Bone (Member of Parliament; Chairman of the All Party Parliamentary Group on Human Trafficking), Lindy Blanchard, and John Blanchard. In 1833, the British Parliament abolished slavery in (most of) the British Empire via the Slavery Abolition Act. Thirty-two years later, the 13th Amendment outlawed slavery and involuntary servitude in the United States. According to our laws, both countries do not sanction slavery. We thought slavery was abolished in the 19th century, yet today there are tens of thousands of people enslaved in these two countries alone. Frederick Douglas, a former slave and abolitionist said, “They would not call it slavery, but some other name. Slavery has been fruitful in giving herself names … and it will call itself by yet another name; and you and I and all of us had better wait and see what new form this old monster will assume, in what new skin this old snake will come forth.” He was right. Today we call it “human trafficking,” and once again, we must expose this practice and declare it unacceptable. We are grateful that there are leaders in both the US and the United Kingdom that are working to protect victims and prevent children from being traded as commodities, and last week, we were privileged to stand beside some of them. Just this past week, by invitation from the Speaker of the House of Commons, the Right Honorable John Bercow and Mr. Peter Bone, a Member of Parliament and Chairman of the All Party Parliamentary Group on Human Trafficking, 100X Founders John and Lindy Blanchard traveled to the UK to mark Anti-Slavery Day. Over the course of two days, they attended the Parliamentarians Against Human Trafficking Conference and met with leaders from Parliament and the Council of Europe to discuss how we can leverage our resources and work together to end human trafficking across the globe. It is evident that these leaders are committed to this fight, and we are honored to stand with them with great expectation of what is to come. Human trafficking is the second largest global organized crime today—generating $31.6 billion annually. 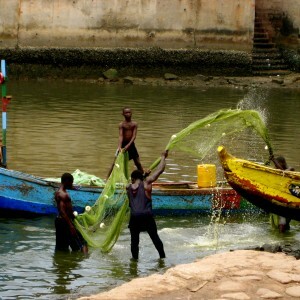 Each year more than 1.5 million children are trafficked for commercial sexual exploitation and forced labor, and it is estimated that 99% are never rescued. The innocence of childhood is exchanged for the profit of others. This is a crime that knows no boundaries—whether geographic, ethnic, or socio-economic—but the most vulnerable are those who have no one to speak for them. On five continents, we are working on the front lines to prevent children from falling victim to this horrific crime. Protection and Empowerment. To date, we have partnered with nonprofits across the globe to build 31 houses for orphans and vulnerable children, and in 2011, more than 500 children were reached. Each of our programs provides a safe and loving home environment where children are able to complete their education and learn life skills that will provide the foundation for a hopeful and productive future. Our work protects the most vulnerable children by providing access to caring adults, educational support, health care and job training. 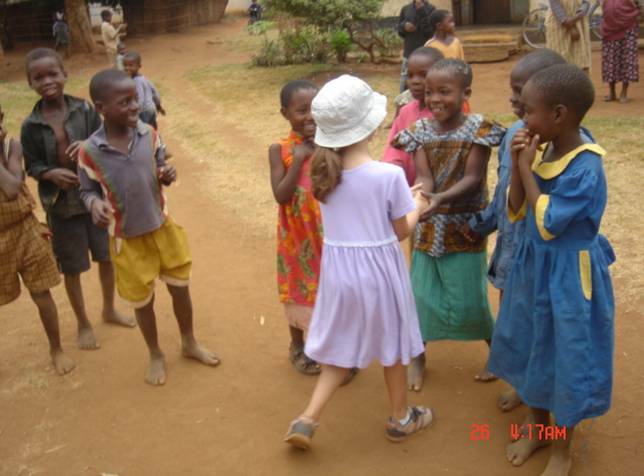 As mentioned in previous posts, when Mtendere Village opened in 2005 we had 16 orphans and one housemother. It has been my privilege to be a “proud mama” and watch these children grow up. I have witnessed them grow physically, change emotionally, be challenged spiritually, and excel academically. I love each and every one of them, and as the mother of Mtendere, I have been known to brag. I simply cannot help myself! That leads me to Stephen Makasu. One of the first to arrive at Mtendere, Stephen was more than a little uncertain about what his new life would look like. He had nothing to compare it to, no one to ask for advice; he was so small, and very shy. What a difference seven years makes! Today, Stephen has matured into one of the strongest leaders on campus. Stephen has led by example in the classroom, as well as on the Mtendere campus, and he instills in our younger kids the drive to be better and work harder. Always the top student in his class at Bambino (an international school right outside of Lilongwe), he is an intelligent young man who has cultivated his strengths in language and business. All of us at 100X were exceedingly proud when, in 2010, he finished as the number one student in his German class and was given the opportunity to travel to Germany as part of an exchange program. Because of his leadership, we flew Stephen to the US where he represented Mtendere Village at our winter benefit. 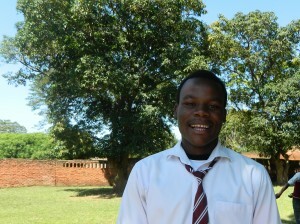 It is our hope that Stephen will be our first (but not the last) international collegiate student from Mtendere! 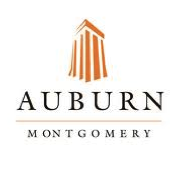 On their recent trip to Malawi, Dr. Rick Cook and other Auburn University faculty had the pleasure of meeting Stephen. Afterward, they shared with me that they were beyond impressed with his confident, yet respectful demeanor. Of course, my heart swelled with pride! Through his hard work and commitment, Stephen has been able to participate in experiences that, prior to Mtendere Village, he could not even hope or imagine. His life exemplifies what we want all of our kids to experience. Stephen and I both know that much of this would not have been possible without the support of his sponsors, the Knight family. In addition to financial sponsorship, they have encouraged Stephen through letters and have even traveled to Malawi to meet him. Because of their dedication to our sponsorship program, the Knights have changed the life of Stephen Makasu. I am so thankful for them, and for all of our sponsors who help our children achieve their dreams. 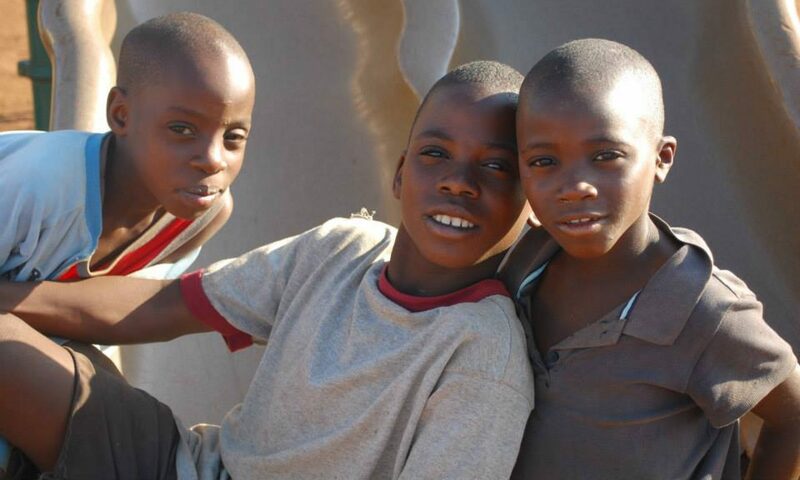 Without them, 100X would not be able to care for the 140 children who call Mtendere “home.” So, we thank you! 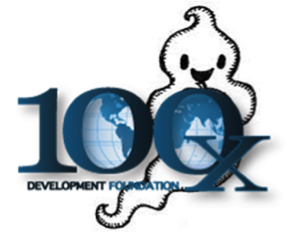 If you’d like to join our family of sponsors, visit our Child Sponsorship page, or email Sponsor@100XDevelopment.com for more information. We’d love to have you! I was in my junior year of undergrad when I first watched the movie Hotel Rwanda—a movie that detailed the story of Paul Rusesabagina and his experience during the Rwandan genocide. If you haven’t seen it, I recommend a visit to your rental company of choice. No matter how many times I view the movie, one scene stands out above all others. The scene begins with Rusesabagina thanking Jack Daglish, a cameraman, for shooting footage of the massacre. Rusesabagina: I am glad that you have shot this footage and that the world will see it. It is the only way we have a chance that people might intervene. Daglish: Yeah and if no one intervenes, is it still a good thing to show? Rusesabagina: How can they not intervene when they witness such atrocities? Daglish: I think if people see this footage they’ll say, “oh my God that’s horrible,” and then go on eating their dinners. I do not know if this conversation portrays an actual conversation between Rusesabagina and Nick Hughes (the man who shot the footage accredited to the fictional Daglish), or if it was scripted for cinematic purposes, but what I do know is that what was predicted came to pass. In less than 100 days, while families in the US and other developed countries sat down for dinner, 800,000 Rwandans were slaughtered. The Rwandan Genocide is just one example. Every day, we see evidence of suffering—whether it is walking by a homeless man on the street, viewing a 30 second clip on the evening news, or reading a blog like this one. The enormity of it all is overwhelming. This constant bombardment is numbing and often causes us to say, “oh my, that is horrible,” and then go on living our lives. 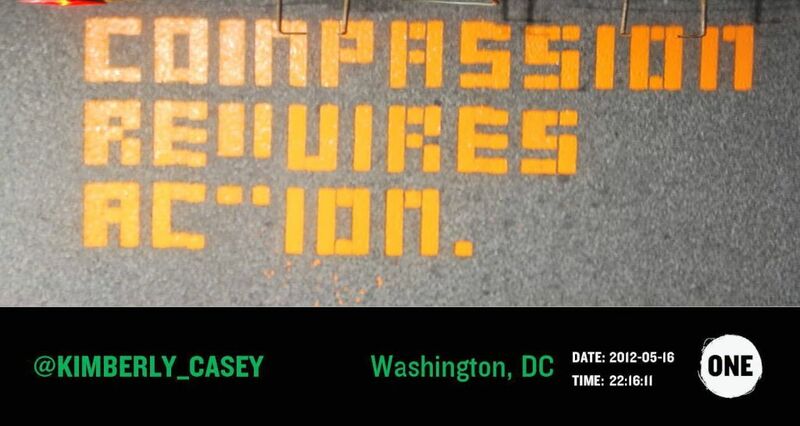 We erroneously believe that because we cannot solve the entire problem, there is nothing for us to do. I firmly believe that there are some battlefields that I am not called to fight on. For example, if the issue involves environment or animal rights issues, please call someone else. I don’t have the capacity. That said, I also believe that everyone should pick a fight. It will be different for everyone, but we all have something that should take us away from our dinners. I recently met a man who spent several years of his young life as a house slave. When he was 12 years old, someone intervened. He was able to attend school for the first time. Throughout his life, people continued to come alongside and support him. He finished university, married and developed a successful career. Today, this man and his wife have established an orphanage to care for similarly vulnerable children. He has picked his fight. At 100X we’ve seen similar stories with children like Andiseni and Galina, and our house mom Naomi. The people who intervened didn’t eliminate human trafficking or world hunger, but they did dramatically change one life. That is what it takes. If each of us will navigate our way through the deluge of statistics, pick our fight, and find the one life that we can influence, we will be able to press back against the darkness. What is your fight? If it is orphan care, education, human trafficking prevention, or health, we’d love for you to join us! Some of you may be familiar with my title as “Mama Dana” from previous blogs or conversations, but for those who do not, I want to explain a little more about what that means to me. It is not just a title, but more a term of endearment. When my family, the Blanchards, started the 100X Development Foundation (then 100X Missions) so many years ago, I was simply a supportive family member of this new dream and goal to start an orphanage in Malawi, Africa. I knew there was a need and I was excited that my family was able to develop a “program” that was undoubtedly going to save the lives of orphans. 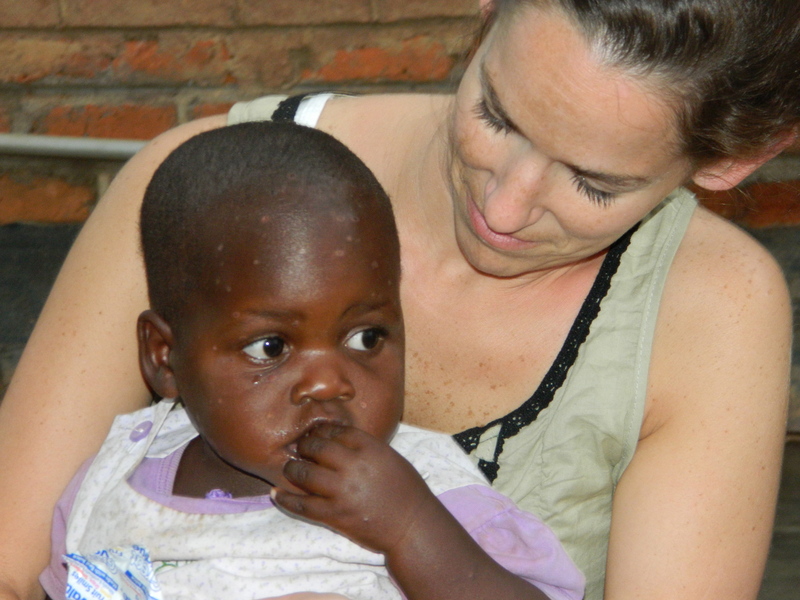 However, it was not until after my husband passed away that I really developed more than just a “supportive” role, but more of a desire to travel to Mtendere Village and see what my family was doing on the grounds in Malawi. In February 2005, on my first trip to Mtendere Village, I fell in love. Not so much with the country (although it is beautiful), but with the people that I met and the 16 wide-eyed orphans who were now under the care of 100X. These 16 children were there, because they too, had suffered unimaginable loss and had no one to care for them. I quickly realized that the number of orphans in the country was far greater than just 16 and that it was essential for us, for me, to do something. The solution was simple: I wanted to work alongside my family—fulltime—at 100X and I had to move to Malawi! After many family conversations, and much prayer, me and my 8-year-old daughter Alley packed up and moved to Mtendere Village. We lived there for over a year and spent our time managing, developing, constructing, and expanding Mtendere Village. I trained the Mtendere Staff the best way I knew how and prayed that it was the right way. I worked tirelessly to try to prepare the administration to be independent so that they could manage effectively when the time came for me to move back to the US. We went from having a village of 16 orphans, a staff of 5, and 1 housemother to a village, rather a home of 140 orphans, a staff of 32, and 16 housemothers. And although this was now my job and the management and administrative perspective was hard work, it was the moments with the orphans, my kids, that meant the most to me. 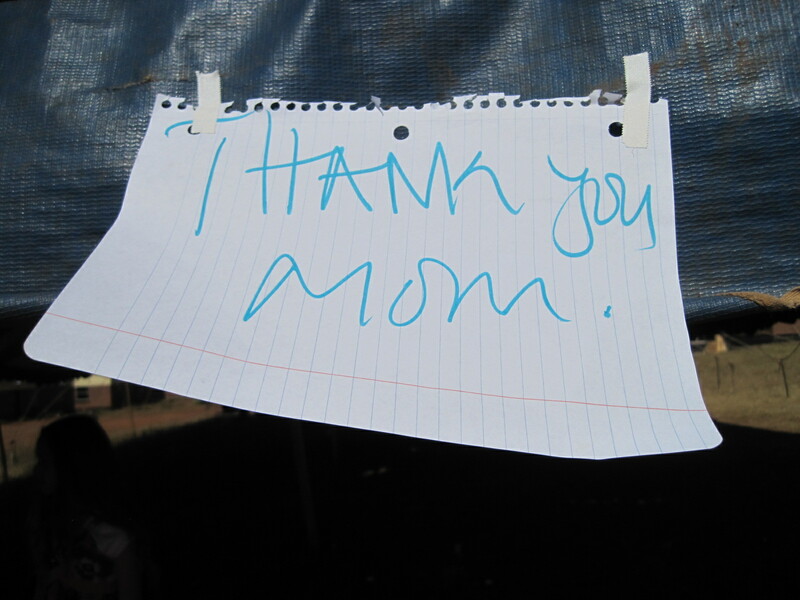 It was during these moments and times that I no longer was just a woman on “the job” but a mother to those who no longer had parents. So, although I am mom to only one, I am “Mama Dana” to almost 200 people in a country that most are not even familiar with. Alley and I no longer live in Malawi, but I do spend every summer there and whenever I have the chance, I go home—to my other children, to the place that stole my heart and instilled a passion in me nearly 8 years ago. I have many more stories and moments to be shared, but for now, hopefully this will give you a glimpse of why the name “Mama Dana” is a such a sweet sound to my ears. 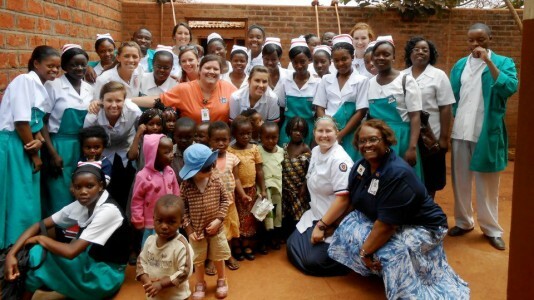 You can help 100X continue to expand and save the lives of orphans in Malawi by donating here.